Yogurt: let your tummy do the thinking! I’ve experimented with a variety of diet types. But the most interesting discoveries happened after I read a digestion book, did a gallbladder/liver cleanse and focused on eating the least processed of foods. The most amazing part was how inexpensive my grocery bill became! I cut out processed sugar, alcohol and coffee while increasing my consumption of fiber in things like brown rice and kale (both very inexpensive). Suddenly I was never starving. I’d get hungry at normal meal times, but it was a slow and gradual occurrence. Not the crazy-ravenous-monster-attitude with unstoppable-stomach growling like before. 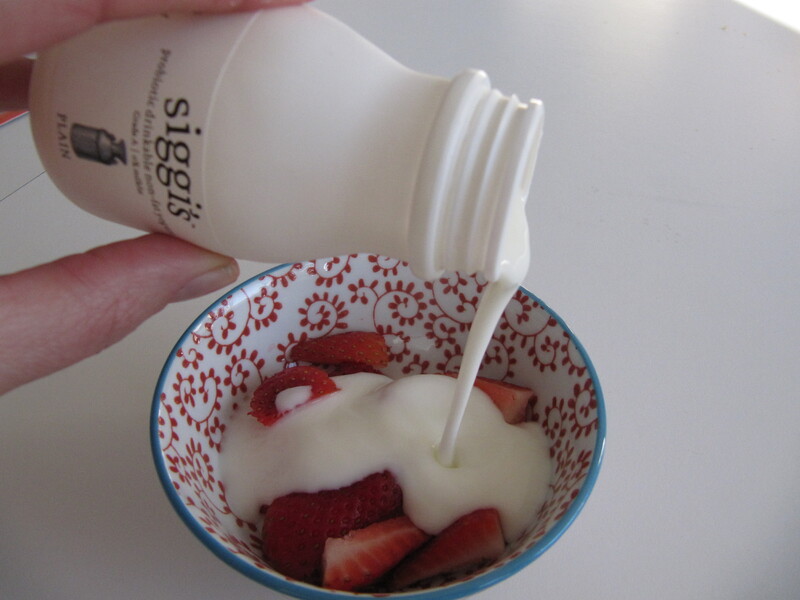 With that time came an interest in expensive yogurts like Siggi’s. It is expensive when you compare the volume with other yogurts. It is not expensive when you realize how little of it you’ll need to consume. I use the drinkable stuff over fruit and cereal. If you don’t feel well in general, or have new allergies, learn the digestive system. The ancient Egyptians believed that’s where all thought and mood stemmed from. When I was a kid I thought that was the funniest thing I ever heard! Now I think it is one of the most insightful.